The Singapore government is setting aside SG$150 million to implement a new Cities of Tomorrow Programme, to achieve the vision of a highly liveable and people-centric city with a sustainable urban ecosystem. 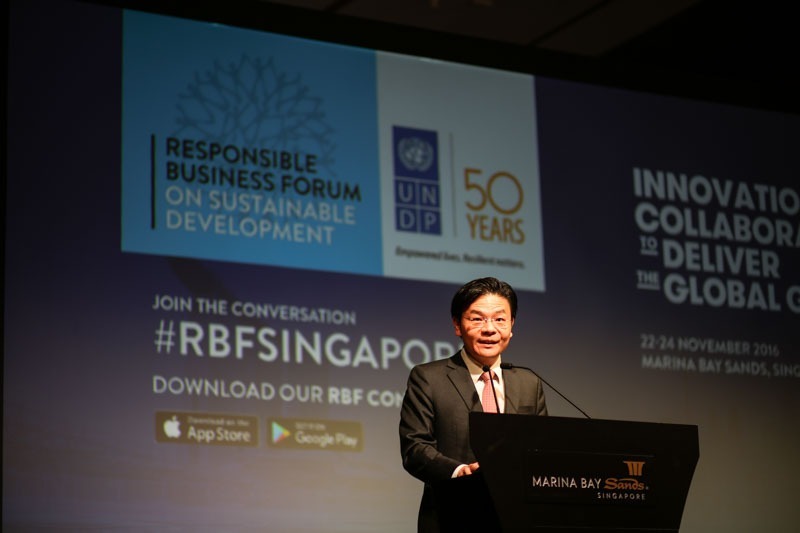 The announcement was made by the Minister for National Development, Lawrence Wong in his opening address at the Fourth Urban Sustainability R&D Congress. The funds will be drawn from the Urban Solutions and Sustainability (USS) Domain formed last year under the government’s SG$19 billion national Research, Innovation and Enterprise plan (RIE 2020). SG$900 million has been allocated for the USS domain, to promote stronger multi-disciplinary and multi-stakeholder collaboration and research, cutting across different vertical domains like energy, water and land. The Programme will focus on three key R&D areas: Advanced Construction and Resilient Infrastructure; creating New Spaces; and providing a high-quality and sustainable living environment for all Singaporeans. ‘Advanced Construction and Resilient Infrastructure’ refers to enhanced construction productivity through the use of technology and ensuring well-maintained, reliable infrastructure, as Singapore reaches a stage of development where ageing infrastructure could be cause for concern. Research will also explore the use of new technologies in condition monitoring for effective maintenance. For example, the Housing & Development Board (HDB) is looking to exploit smart solutions and leverage sensors, the Internet of Things and Big Data for a more predictive and proactive approach for the maintenance of HDB towns and estates. HDB signed an MOU with Imperial College London and Agency for Science, Technology and Research’s (A*STAR) Institute for Infocomm Research (I2R) for a SG$5.3 million research programme to study how smart sensing and analytics can enhance services within housing estates. ‘Cities of Tomorrow’ will also focus on creating new spaces to ensure that there is sufficient capacity to support future long-term development, notwithstanding Singapore’s land constraints. Creating more usable underground or sea spaces could be potential paths for exploration. Cost and environmental impact will have to be considered. For underground space, the current priority is to move functions such as utilities, warehousing and storage facilities underground to free up surface land for living and community activities. JTC Corporation and Nanyang Technological University (NTU) are working on a project to develop safer, more robust, and more cost-effective design standards for underground developments. In the third focus area, Cities of Tomorrow aims to create a sustainable city, by conducting research in areas such as resource and energy-efficiency, becoming a more car-lite society and helping residents integrate and interact more closely with greenery and nature. Minister Wong shared a few examples of initiatives in this area. One research project is looking at ways to mitigate noise within HDB flats, through active cancellation of noise on the windows, like in headphones. A*STAR is working on this research idea. The use of new materials and technologies is also being explored to make buildings more water and energy efficient. For example, the Building and Construction Authority (BCA) is working with the National University of Singapore (NUS) on nanocomposite films that can convert heat to energy for more effective indoor cooling in the tropics, while improving air quality. He added that while the government can put a framework and research support systems in place, as the Singapore government is doing, efforts by researchers and industry would be important to deliver the entire pipeline of research and innovation. Read the transcript of Minister Wong’s speech here.